In the 2013-14 NBA season, LeBron James proved that he is not an immortal creature when he suffered a broken nose in a late-February victory over Oklahoma City. 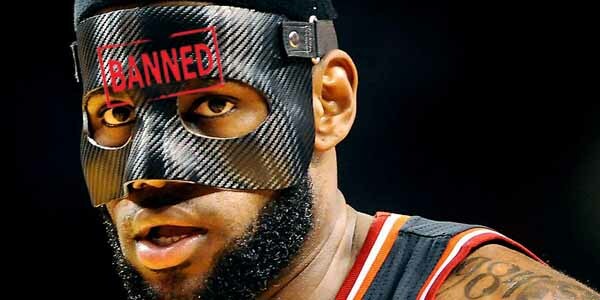 Because his clear mask was not yet ready, and because he is LeBron James and can do things that other NBA players can’t, he donned a black carbon fiber mask to protect his nose in a victory against the New York Knicks. The league asked — or more appropriately, demanded — that James switch back to the typical clear mask before the team’s next game. The league wasn’t ready to accept a world where they couldn’t see LeBron’s glorious face at all possible times, nor was it ready to have its best player looking like the lovechild of Batman and Zorro.